As a business leader, you can’t have failed to notice that purpose is the zeitgeist – being discussed across the business media. As consumers, and employees, we’re increasingly driven to buy from, and work with, companies that have clear values and that aim to make a positive social and environmental contribution to the world. The CSR (corporate social responsibility) conversation has moved on rapidly in recent years, and ‘purpose’, including social purpose, has become a legitimate C-level and boardroom conversation linked to thinking about the long-term survival and profitability of a business. Having a purpose-driven company culture is increasingly seen as a tool to hire and retain talent, re-energise your longer-term employees and make all of them feel proud to work for you. According to The Deloitte Millennial Survey 2018 Millennials and Gen Z’ers entering the workforce ‘believe that businesses should consider stakeholders’ interests as well as profits. Their experience is of employers prioritising the bottom line above workers, society and the environment, leaving them with little sense of loyalty’. And in his annual letter to CEOs, BlackRock Chairman & CEO Larry Fink focused for the second time on purpose as a critical business issue. BlackRock’s investment portfolio accounts for $5.98trn of global wealth, so his statement that ‘profits and purpose are inextricably linked’ is very welcome. Being a company with a material, embedded social purpose is becoming a positive differentiator in a difficult market and is part of how many companies are changing their business models to survive and thrive. Should you be volunteering with a local homeless shelter, trying to end poverty or providing education, employment and training for young people? What does your business already do? What could you be doing? Many businesses go straight to CSR-style tactics – a charity of the year partnership or a company volunteer day. But to add real value to society and to your business social purpose can’t be an add-on afterthought or a box-ticking exercise. It needs a unifying and inspiring strategy that sits at the heart of your business, that is material to the daily work of your company and its employees, is overseen at board level and, critically, is authentic. This blog explains our approach at Profit with Purpose to helping to create an inspiring, authentic social impact strategy that runs through your whole business. To identify a social purpose that’s true to your business we begin with a short discovery period to ensure your focus is on a theme that ties tightly into your business and where you can realistically make a positive impact. Ideally you will apply existing company resources and relationships towards your chosen theme, and it should align with various (sometimes unexpected) business needs and objectives. Your social purpose should feel like an enhancement of your existing work rather than an extra burden. We like to speak to departments across the entire business to understand the organisation, its commercial trajectory, product or service, employees, values, challenges and, of course, its current approach to ‘doing good’. We bring a different lens to your product or service and help you to think how what you sell can be used in a different context, perhaps by NGOs, to help deliver social value alongside commercial value. Many businesses of varying sizes and from all industry sectors undertake some kind of charitable or socially-focused activities but often these projects lack structure, strategy or any kind of end goal or objective. Traditionally, programmes or activities might be the responsibility of HR or marketing, or be undertaken on an ad hoc basis by individual teams. We like to work with senior decision-makers because purpose is a leadership issue and the focus and strategy needs to come from the leadership team. Social purpose needs a strategy and goals that start at the top and then thread through the entire business. Only in this way will the chosen social goals have the significance and structure they deserve and ensure that progress is made, is material, and is reported. Articulating the social impact you want your company to make can be a daunting prospect. Business leaders often grapple with knowing what the world’s greatest social issues are, let alone how to address them. Frankly, it can even be difficult to know the right words to use, and often people are afraid of saying the ‘wrong thing’. We use the UN’s Sustainable Development Goals as a framework to help companies define their vision – the theme of the work they’re going to focus on. Together we select one or more of the objectives which resonates with both a company’s interests and resources to ensure that the strategy will be meaningful and effective. We then encapsulate the company’s social purpose in a vision statement which is intended to sit at brand level. The business’ social vision statement should be closely aligned to its commercial purpose, not a burden or an extra, and the wording should reflect that. We also work with the company’s existing articulation of its values and apply these to the social objectives. A clear vision and the application of company values to that vision can unleash employees’ passions and ideas for benefiting their communities once they know that the things they care about can be brought into work with them. Once you have a vision for your social purpose, we define a programme of activities that will achieve it and bring your values to life for everyone in the company. This programme doesn’t have to be costly – and it’s about more than making a donation to charity. In fact, it’s about making the best use of the resources you already have to create a sustainable set of activities. Think about what your business does. Could you give away your product or discount your services – or repurpose them in a way that would add value? Often, we can quickly see social value in your product, your people’s expertise, your network of relationships, or something else your company has or does. Then, your people. 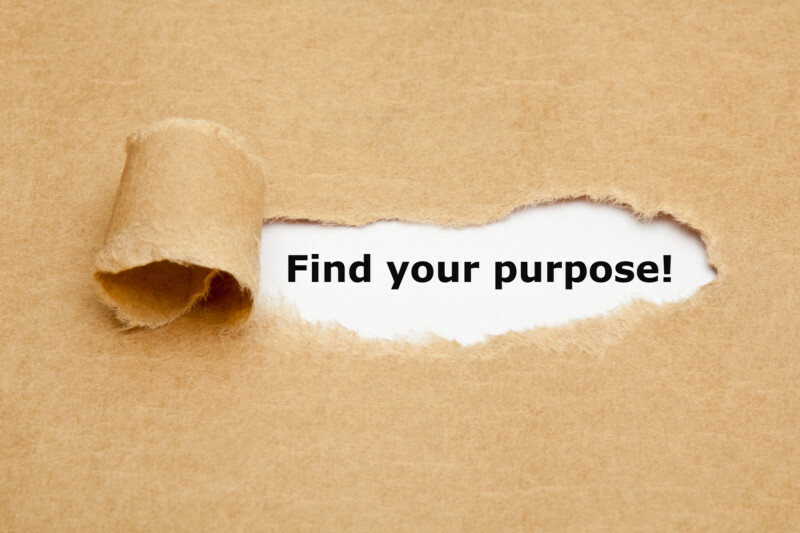 Could you enable your employees to dedicate working hours to your social purpose? This does not need to be formalised as a volunteering programme but can be a dedicated and tracked allocation of time to spend on the company’s social purpose objectives, which has KPIs and is acknowledged alongside other employee and company goals. Finally, think about your profit. Could you reallocate a proportion of your profits into a grant programme? Or could you fund your social purpose work through identifying a revenue stream or area of business activity that could be reinvested or reallocated? Just like any area of business, social impact needs a clear strategy and expert human resource to create an engaging, targeted and well-governed programme. There’s no value in creating something that does not work, or add value, or meet your goals. To make your strategy realistic, it’s important to acknowledge the obstacles. Where might you need additional resource? Could there be issues with governance or liability? How can you align your activities with commercial acquisitions? By identifying and acknowledging risk, you can mitigate against it. Finally – and crucially – your strategy should have clear objectives for specific social outcomes. The value of this area of work needs to be tracked, evaluated and improved, both for its progress toward meeting your company’s social objectives and for its value to the business more broadly. Even if they’re hard to define, we always help to set out some initial metrics that will indicate the programme’s performance, whether that’s short-term milestones for a charity partnership, levels of employee engagement, the numbers of people helped or its contribution to more long-term goals for the social change you’re seeking to make. You may need a technology solution to help govern, manage, track and report on your social purpose activities. We make it our business to know the best providers of appropriate technology and can help you write a spec to assess what you need and which technology partner to choose. Just like advertising or marketing, it’s true that sometimes the impact of social purpose can come much further down the line and be very hard to track. The results might be diffuse at first, and your programme could even bring unexpected positive outcomes for areas of the business that you did not anticipate. Businesses have an incredibly important role to play in creating a positive social impact on the world. But just as no two businesses are the same, neither is the social impact they can make, nor the route they take to make it. Profit with Purpose can help you to create and activate an authentic social purpose that sits at the heart of your business, that will deliver outcomes that you and your employees feel proud of and that connect you to communities you care about.